The seer stone referred to above was found when Joseph and his brother Alvin were digging a well in 1822. It was “about the size of a small hen’s egg, in the shape of a high instepped shoe. It was composed of layers of different colors passing diagonally through it. It was very hard and smooth, perhaps from being carried in the pocket” (see Joseph Smith’s Translation of the Book of Mormon by Stephen D. Ricks). He said there was a book deposited, written upon gold plates, giving an account of the former inhabitants of this continent, and the source from whence they sprang. He also said that the fulness of the everlasting Gospel was contained in it, as delivered by the Savior to the ancient inhabitants; Also, that there were two stones in silver bows—and these stones, fastened to a breastplate, constituted what is called the Urim and Thummim—deposited with the plates; and the possession and use of these stones were what constituted “seers” in ancient or former times; and that God had prepared them for the purpose of translating the book. Similarly, Zebedee Coltrin, an early acquaintance of the prophet, said in 1880 that he had asked Joseph what happened to the Urim and Thummim and that “Joseph said that he had no further need of it and he had given it to the angel Moroni. He had the Melchizedek Priesthood and with that Priesthood he had the key to all knowledge and intelligence” (see Joseph Smith’s Translation of the Book of Mormon by Stephen D. Ricks). Moroni’s counsel referred to above is found in Moroni chapter 10. In verse 4 he exhorts us to read, ponder, and pray in sincerity and faith about the truthfulness of The Book of Mormon. Then he says in verse 5 that “by the power of the Holy Ghost ye may know the truth.” I have taken this challenge and I know The Book of Mormon to be true. I have received a witness from the Holy Ghost of this and also that Joseph Smith was an inspired seer and true prophet of God. The Church of Jesus Christ of Latter-day Saints was established by God through Joseph Smith and President Thomas S. Monson is his authoritative successor and possesses all the priesthood keys on the earth. 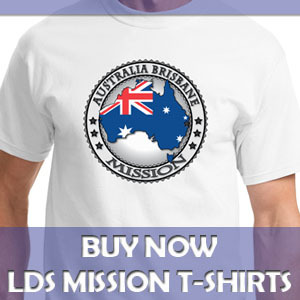 Our missionaries bring this message and the accompanying blessings to the world, and we are blessed to be part of this great and marvelous work. How is the Next Prophet Chosen in the LDS Church? The quote from David Whitmer (An Address to All Believers in Christ, Richmond, Mo. : n.p., 1887, p. 12.) is just a Whitmer’s speculation. In that account he never said “I saw Joseph Smith translating the Book of Mormon” Why? Because he never saw him. 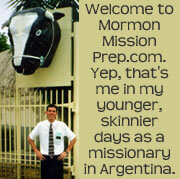 Instead of that he will report “I will give a description…” Therefore, David Whitmer’s account is a second-hand report, he never knew by himself how the Book of Mormon was translated. 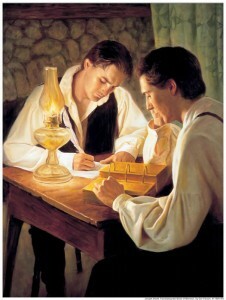 On the other hand, Joseph Smith himself reported that he “was not intended to tell the world all the particulars of the coming forth of the Book of Mormon; and also said that it was not expedient for him to relate these things” (See Joseph Smith, History of The Church of Jesus Christ of Latter-day Saints, 7 volumes, edited by Brigham H. Roberts, Salt Lake City: Deseret Book, 1957, 1:220). Now, it gets clear that if Joseph Smith never disclosed to anybody how he translated the Book of Mormon, then the reports we have from others is just pure speculation. The fact the Elder Nelson has quoted David Whitmer’s statement in an official speech does not make the statement true but only shows that even though Elder Nelson is an Apostle, he is not a scholar in Church history.